In 1948 Colin Chapman built his first competition car, in a small London lock-up garage, following his own theories for improved performance. He formed Lotus in 1952 and from there the company continued to innovate in both road and race engineering. Changing the very nature and intent of car design forever, Chapman was at the vanguard of a new way of thinking and his concepts are as relevant today as they were 70 years ago. The Type 49 and 79 are just two of the cars that helped forge Lotus’ reputation in competition. In Formula 1 alone it has more than 475 Grand Prix starts, complete with 79 victories and 7 World Championships. 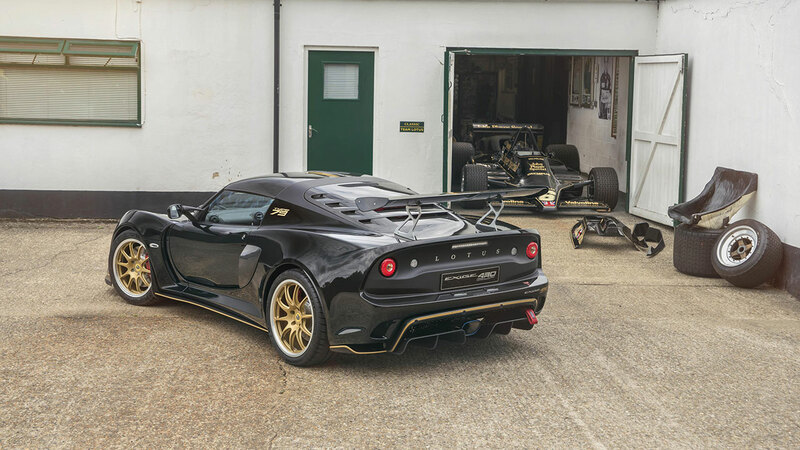 As well as the laurels gained in Grand prix racing, Lotus has successfully competed in Rally, Le Mans, Indy and saloon car classes around the world. Employing a supercharger and chargecooler designed specifically for the potent engine, both the Exige Type 49 and 79 possess 430 hp at 7,000 rpm and 440 Nm (325 lbft) of torque from 4,000 rpm. 0-60mph is demolished in just 3.2 seconds (0-100 km/h in 3.3 seconds) before they reach a top speed of 180 mph (290 km/h). As the leader in lightweight sports cars, the Type 49 and 79 maximise the benefits of the latest technologies and advanced materials to weight just 1,056 kg in their lightest configuration, bestowing the Celebration cars with a power to weight of 407 hp / tonne. In addition to cutting mass, the carbon composite body panels also deliver the cars’ distinctive styling and aerodynamic set up. The high-gloss visible weave components include the front splitter, front clam, air blades, unique bargeboards, roof panel, rear tailgate, straight-cut wing and diffuser surround. Aerodynamically evolved, the cars deploy up to 220 kg of downforce through the careful management of airflow under and over the car. Air curtain elements and louvers in the front clam panel efficiently regulate turbulence and drag, and reduce pressure within the front wheel arches, increasing downforce. The cut-out sections behind the rear wheels also reduce wheel arch pressure, while the high mounted straight rear wing and rear diffuser plant the cars to maximise traction and stability at high speeds. With Nitron three-way adjustable dampers (tuning rebound, as well as low-speed and high-speed compression) and Eibach adjustable front and rear anti-roll bars, as standard, the cars use Michelin Pilot Sport Cup 2 tyres (215/45 ZR17 front and 285/30 ZR18 rear), fitted on ultra-lightweight, fully machined, forged aluminium wheels. Superior stopping power is provided by forged, four-piston AP Racing brake calipers and race-derived two-piece, J-hook brake discs - provide improved bite and consistent stopping power after high-intensity track work. Inside, each cars’ racing colours are referenced, with Lotus’ in-house manufactured carbon race seats trimmed in black Alcantara®, and finished with colour keyed red and gold, or black and gold, contrast double stitching. This is echoed by the door panels and face-level vents, transmission console, and complemented by the cabin’s anodised aluminium and carbon fibre elements - including door sills and an instrument binnacle cover. Topping off Lotus’ acclaimed open-gate manual gearbox, designed specifically for fast and fluid shifts, is a wooden gear knob. With every single Lotus Sports hand built by a team of skilled craftsmen and women, the Lotus Exclusive scheme draws on the collective to create something exceptional for the customer. Including everything from non-standard paint colours, stand-out roof panels, tasteful colour decals, as well as contrast brake calipers, the same level of attention can be centred on the cabin, with bespoke upholstery and finish options available. Equally as inspiring, the Lotus 79 is regarded as one of the most visually stunning F1 cars ever built - especially in the John Player Special livery. With the underside of the car designed as an inverted wing, the resulting reduction in air pressure beneath the body dramatically boosted aerodynamic downforce. In the 1978 season the Lotus Type 79 proved almost unbeatable, helping Mario Andretti to the F1 Drivers' Championship and Lotus to the Constructors' Championship. 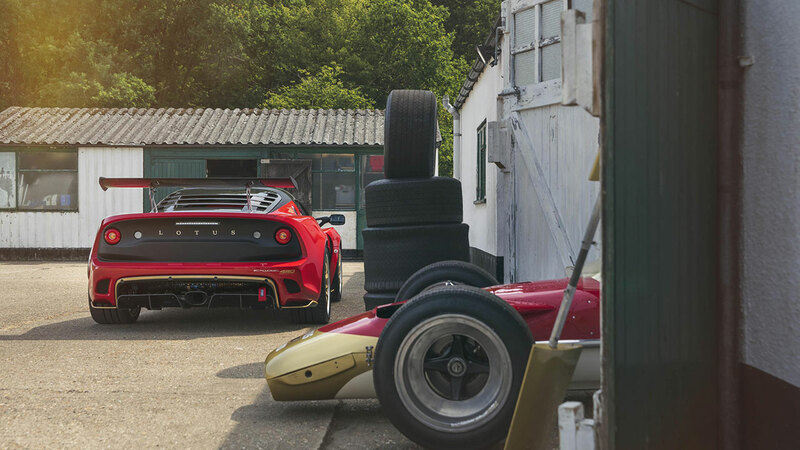 Lotus is proudly celebrating its 70th anniversary at the Goodwood Festival of Speed 2018 as an Automotive Partner of the event. This year’s Festival will allow visitors to see some outstanding cars from the marques’ past running the Hill. This includes Jim Clark’s World Championship winning Lotus 25, Graham Hill’s World Championship winning Lotus 49, Ayrton Senna’s first F1 race winning car, the Lotus 97T, and the revolutionary Lotus Type 56 gas turbine Indycar. 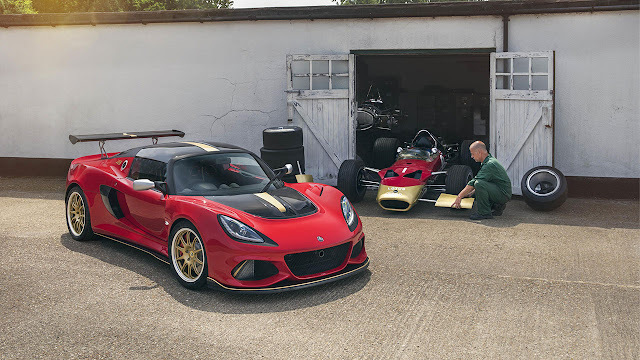 Acting as the centre of the celebrations, Lotus’ current line-up of sports cars will be proudly displayed on the company’s stand in the main exhibitors’ space. 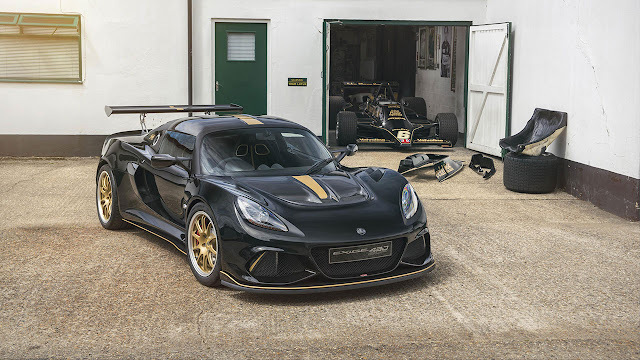 This includes the Celebration Exige Type 79, which is appearing with a Type 79 racing car campaigned by Mario Andretti as part of his Championship winning year.